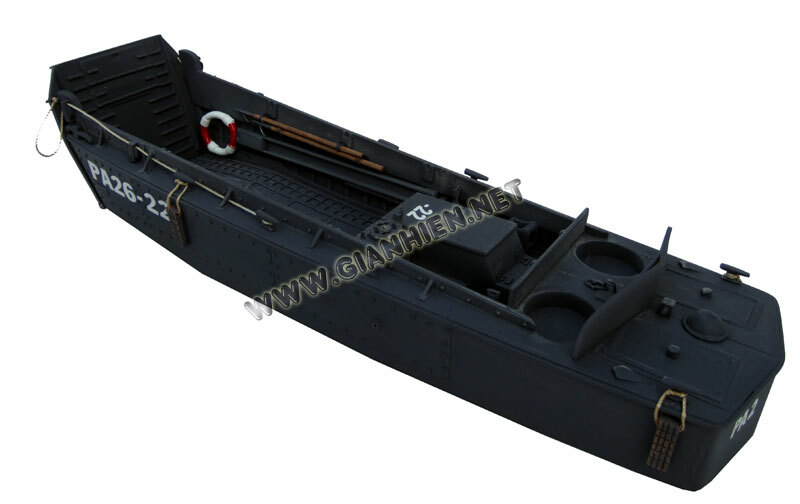 This battle ship model is all hand-crafted from hard wood with planks on frame construction and painted as the real boat. There are no plastic and this model is ready for display. 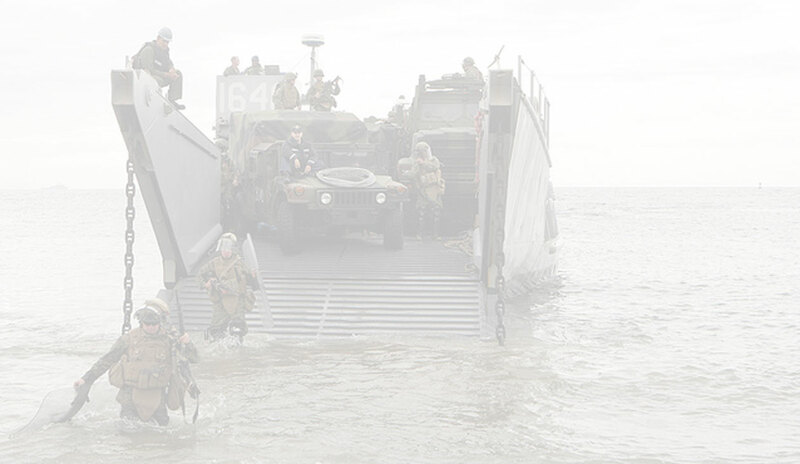 Landing craft are boats and seagoing vessels used to convey a landing force (infantry and vehicles) from the sea to the shore during an amphibious assault. Most renowned are those used to storm the beaches of Normandy, the Mediterranean, and many Pacific islands during WWII. This was the high point of the landing craft, with a significant number of different designs produced in large quantities by the United Kingdom and United States. Because of the need to run up onto a suitable beach, WWII landing craft were flat-bottomed, and many designs had a flat front, often with a lowerable ramp, rather than a normal bow. This made them difficult to control and very uncomfortable in rough seas. The control point (bridge was far too fancy a description for the facilities of the LCA and similar craft) was normally situated at the extreme rear of the vessel as were the engines. In all cases they tended to be known by an abbreviation derived from the official name rather than by the full title.